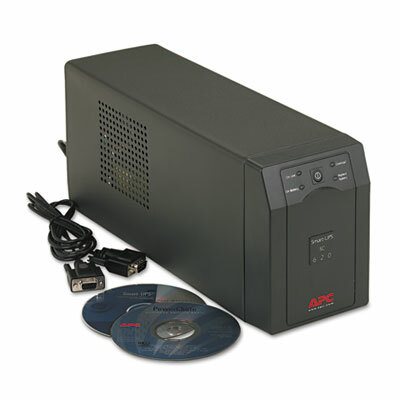 Network manageable to monitor and control the UPS remotely. Audible alarms actively let you know if the unit is on battery, if the battery is low, or if there is an overload condition. Predictive failure notification provides early-warning fault analysis on batteries enabling timely preventive maintenance. Boost and Trim Automatic Voltage Regulation gives higher application availability by correcting low and high voltage conditions without using the battery. Adjustable voltage-transfer points maximizes useful battery life. Power conditioning protects connected loads from surges, spikes, lightning, and other disturbances. Cold-start capable for temporary battery power when the utility power is out. Hot-swappable batteries ensures clean, uninterrupted power to protected equipment while batteries are being replaced. Resettable circuit breakers allows for quick recovery from UPS overload events. Intelligent battery management for exceptional battery performance, life, and reliability through intelligent, precision charging. Disclaimer Statement(s) Run Time based on a load of 195 watts.